Click on the doctoral tam to your right, from any page, to return here. 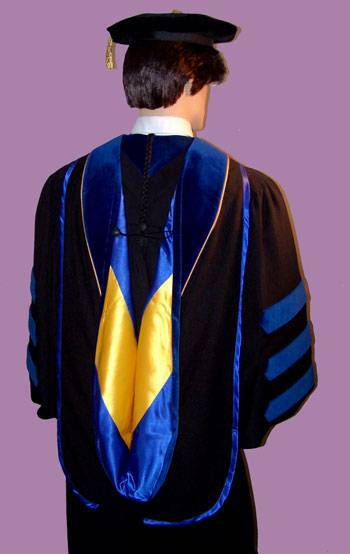 At FacultyRegalia.com we specialize in providing quality academic regalia ~ graduation gowns, academic hoods, and graduation caps (tams, tassels, mortarboards) to faculty members wishing to purchase long lasting caps and gowns - academic regalia, rather than renting and re-renting a used cap and gown each semester. We offer fully custom made-to-measure graduation gowns, semi-custom, our famous deluxe PhD gowns and doctoral gowns (made-to-measure quality at off the rack prices) - faculty quality graduation gowns- and souvenir academic regalia, so we can handle all budgets and qualities desired. 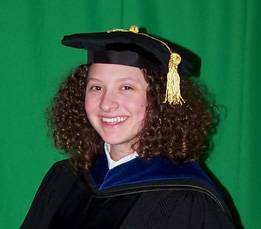 The staff at FacultyRegalia.com is trained to handle both traditional and specialized academic regalia requirements with aplomb and consideration to detail. We handle both individual sales and group orders. For quick delivery, we not only offer custom made caps and gowns, but also STOCK a wide variety of doctoral gowns (including our deluxe doctoral gown) - master's gowns - and bachelor's cap and gowns; academic hoods; and doctoral tams; plus student caps and gowns for preschool, elementary and middle school, high school, and university collegiate graduation commencement ceremonies. 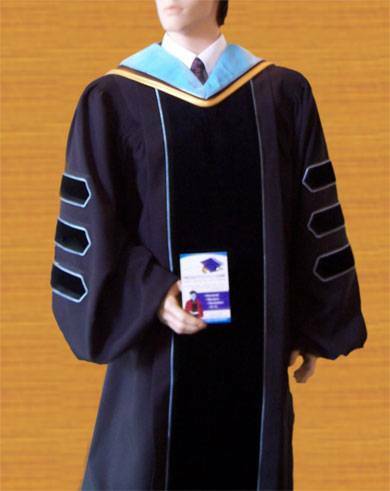 For late cap and gown orders, we even offer FREE LOANERS of academic regalia. Faculty members (and students) are assured of receiving their academic regalia in accordance with traditional academic guidelines, and good taste, whether it be a school's or department's group order placed weeks in advance, or an individual student's or professor's last minute cap and gown emergency! 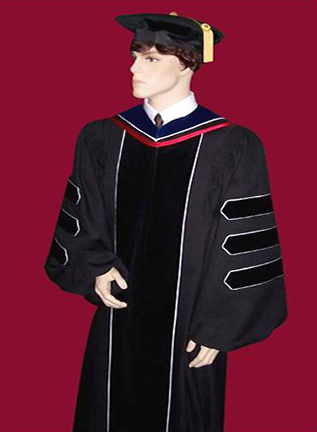 Graduation caps and gowns and PhDRegalia by FacultyRegalia.com, for faculty members and students needing quality academic regalia in a hurry. We stock preschool, elementary, middle, highschool, bachelor, master's and doctoral gowns, hoods, tams, mortarboards and tassels and we ship it out quick! 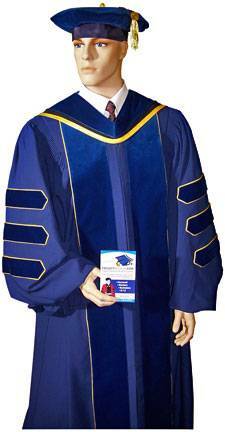 We also special make doctoral regalia per our customer's specs. Last minute specialists. Free loaners available.